If you are a fan of Sonic the Hedgehog, then you should know the origin story of the character. And, if you don’t, don’t worry, as original game designer Hirokazu Yasuhara and character designer Naoto Oshima just revealed the back story of the popular character at the Game Developers Conference (GDC) on Wednesday, according to Eurogamer. Oshima, who now works at Arzest Corporation, was responsible for Sonic’s visual design. Yasuhara, now at Unity Technologies Japan, worked on Sonic the Hedgehog’s maps and game design. During the event, Oshima talked about the thought processes that went into designing the iconic blue hedgehog. Yasuhara, on the other hand, walked through the game’s original backstory. 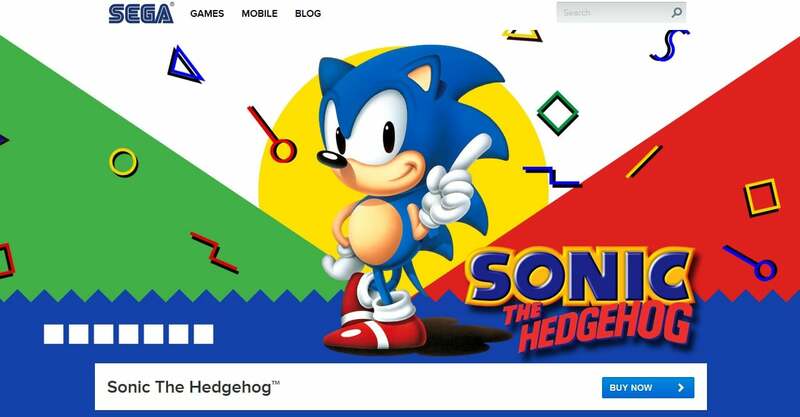 The talks also revealed that the blue hedgehog was mainly created to match the Sega logo. According to the executives, Sonic the Hedgehog was primarily created to give Sega a mascot that could take on Nintendo’s Mario and NES. In the early 90s, Sega and Nintendo were battling for supremacy in the video games category. Though at the time Sega had characters like Alex Kidd and Flicky, they were not competitive enough for Nintendo’s offerings. According to Yasuhara, Sega at that time did not give much importance to the characters. However, the company realized the importance of characters after Sega’s Mega Drive/Genesis. Then, the gaming company wanted a character that could represent it, be iconic and have a long lifespan. The next stage then was to work on Sonic’s appearance. The team wanted a character that could be made with simple lines, something so simple that even kids could draw it. After the design, a list of keywords was made that would describe the company. ‘”Cool” was given the main thrust, and the same was also conveyed through Sonic’s facial animations in the final game. “‘Cool’ can be something that’s more on the surface, visual or expressive, or just cool character design…but that wasn’t the cool that we were looking for,” said Oshima. The team instead wanted a character that would look cool because of its attitude. Oshima, at the time, was also fascinated with the “Nose art,” which is the cartoon-type art drawn on the front of the fighter planes. According to the designers, the classic Sonic emblem was originally the “nose art” on the plane in the story. Also, the fact that Sega wanted to create a character with a Western appeal, encouraged the team to write a history for Sonic with an American influence. The background story talks of a pilot in 1940 with a nickname “Hedgehog” as he loved flying at high-speed and this caused his hair to stick up in spikes. The pilot married an author of children’s books. That woman later penned the story of hedgehog, and that story is the foundation of the original Sonic the Hedgehog. At the event, the executives also showed the original design documents along with an extensive story in Japanese, notes Kotaku. “The story of a man who tirelessly sought to fly his plane at yet-unknown speeds. The nose art on the plane he flew depicted Sonic,” read the translation of the story. So, did all the efforts pay off? Sega offered the Mega Drive and bundle of the game at a cheaper price point than the SNES. And, in the holiday sales war between SNES and the cheaper two-year-old Sega Genesis, the latter won.